Spartacus Gym offers a wide-range of personal training packages featuring some of the top fitness professionals in Vancouver. Our trainers have extensive experience working with people of all ages, lifestyles, and backgrounds. Are you scared of the gym? Are you clueless about what to do when you join one? Are you intimidated by the thought of working out in public or have an overwhelming fear of being judged by others? Whether you are a total beginner who has never stepped foot inside a gym before or an experienced athletic competitor pursuing your highest potential for greatness — we have the right trainer for you. Our experienced and qualified team of personal trainers are fully certified, insured, and have a minimum 5 years of professional experience working with a wide variety of clientele. They are friendly, knowledgeable, and are here to help you become a better version of yourself — no matter who you are, where you come from, or what you want to achieve! If you would like further assistance in finding the best possible trainer for you, email Info@SpartacusGym.ca with a brief description of your fitness goals and you will receive a personal response from Spartacus Gym’s owner and head trainer, Roy Duquette. Roy Duquette has been involved with Spartacus Gym for over 25 years. Roy first began training at Spartacus Gym in 1993 as a regular member and was originally hired on as an administrative assistant, personal trainer, and group class instructor in 1998. In 2002, Roy left to start his own company, Duquette Strength and Development. After a decade of travelling the world and working as a professional athletic trainer to some of the top martial artists in the world, Roy returned to Spartacus Gym in 2012 as its new owner, General Manager, and Head Trainer. As of January 2018, Roy has performed over 34,000 personal training sessions, making him one of the most experienced and well-respected athletic trainers in Western Canada. 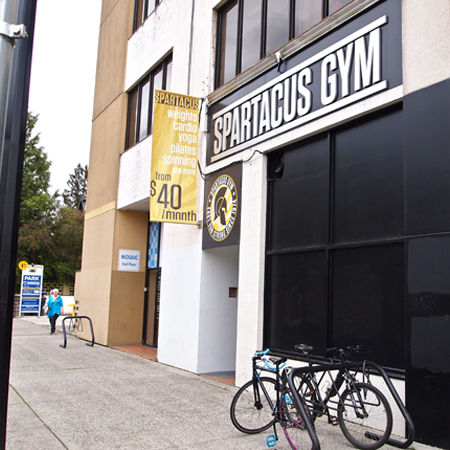 In 1998, Roy met past Spartacus Gym owners Doug Austin and Herb DaSilva who had recently purchased the business from former owner Bruce Cormier. After a brief introduction, Roy would become the first staff member that they would hire. Juggling life as a full-time university student, personal trainer, and martial arts competitor, Roy immersed himself into his studies in Kinesiology, his work at Spartacus, and his on-going self-development as an athlete. As a first-year massage therapy student a few years later, Roy created the Postural Reprogramming System — a comprehensive total-body training system designed to effectively treat muscular imbalances caused by poor work ergonomics, inefficient movement patterns, and various lifestyle factors. The Postural Reprogramming System helped establish Roy as a premier core-strength, movement, and postural alignment specialist bringing him to Fitness Expos all over the world to share and demonstrate his knowledge. In 2002, Roy founded Duquette Strength and Development and opened Duquette Strength Clinic in 2005 — a multidisciplinary therapeutic fitness facility which combined personal training and active rehabilitation with modalities such as Postural Reprogramming, Kinesiology, Massage Therapy, Chiropractic medicine, Acupuncture, and corrective movement analysis. From 2005 to 2010, Roy averaged 60-70 personal training sessions a week until taking a few months off to travel the world performing presentations, seminars and workshops in 2011. In addition to maintaining his regular personal training clients, Roy has hosted several international clients from Brazil, Puerto Rico, United States, South Korea, and Japan as part of his Duquette Strength Homestay Program, where he would offer intensive training camps for elite athletic competitors who chose Roy to prepare them for their next competition. In addition to being a busy athletic trainer, Roy is a serious martial artist with over 20 years of experience in multiple martial arts including Brazilian Jiu Jitsu, Boxing, and Muay Thai. Roy has traveled the world to learn from some of the greatest names in martial arts such as Saenchai, Alexandré Paiva, Alexandré Puga, Ricardo Almeida, Renzo Gracie, John Danaher, and Marcelo Garcia. Roy is the Head Instructor of Spartacus Gym Martial Arts — teaching both Brazilian Jiu Jitsu and Kickboxing. 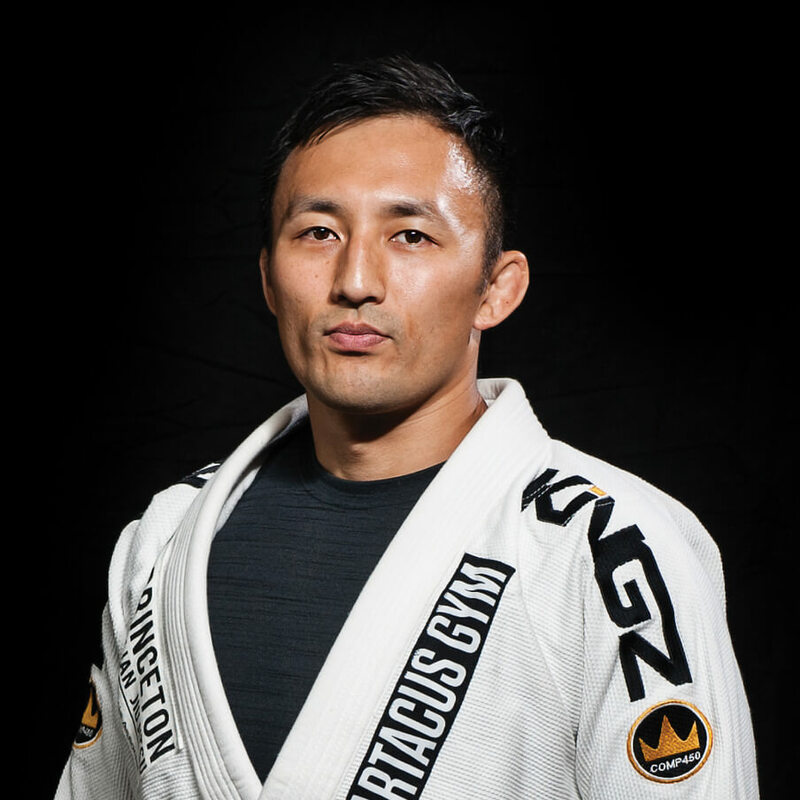 In the Brazilian Jiu Jitsu and MMA community, Roy is best known for being the coach, trainer, and mentor to 2-time IBJJF Black Belt World Champion Emily Kwok and legendary Japanese MMA icon Ikuhisa Minowa. After a decade being sidelined with a serious knee injury, Roy returned to competition in 2014 with a dominant Brazilian Jiu Jitsu victory. In addition to being a multiple-time featured keynote presenter, public speaker, and writer, Roy has made several cameo TV appearances playing himself as a personal trainer. In 2011, Roy was featured in his first instructional DVD, “An Introduction to Total Body Stability”. Christie is a Certified Health Coach and Personal Trainer who has been helping people improve their fitness and health since 2001. 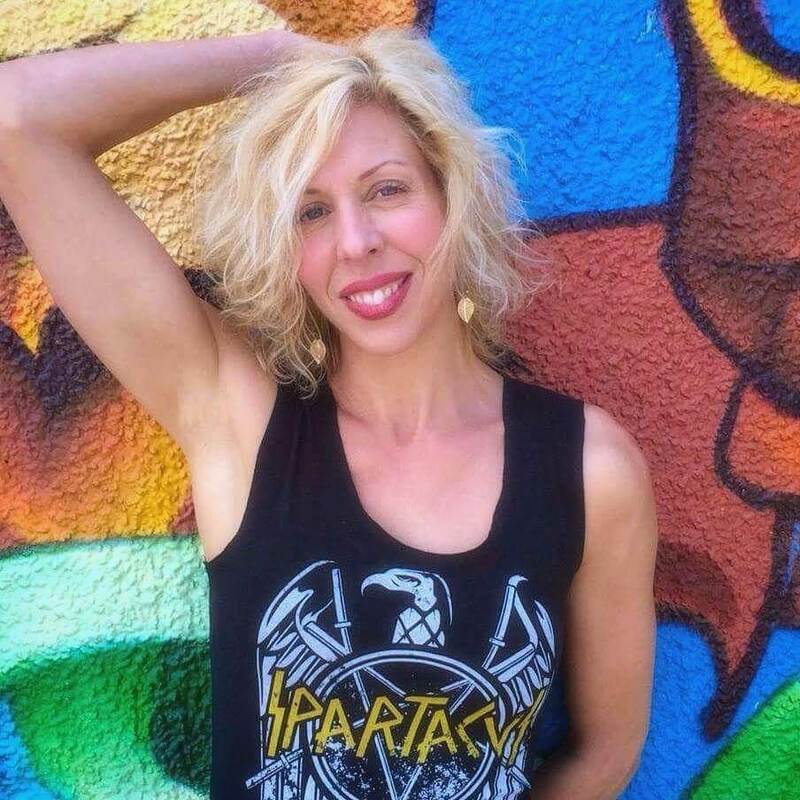 As a wellness blogger, speaker, and motivator, Christie’s passion is teaching simple ways to develop and maintain a lifestyle of healthy eating, regular exercise, and restful sleep. Christie’s certifications include Yoga, Pilates, Sports Nutrition, Pre-Natal Exercise, Healthy Weight Loss & Fitness for Seniors. When she’s not helping others achieve their wellness goals, Christie enjoys cooking healthy meat-free meals, meditating, and of course, exercising. 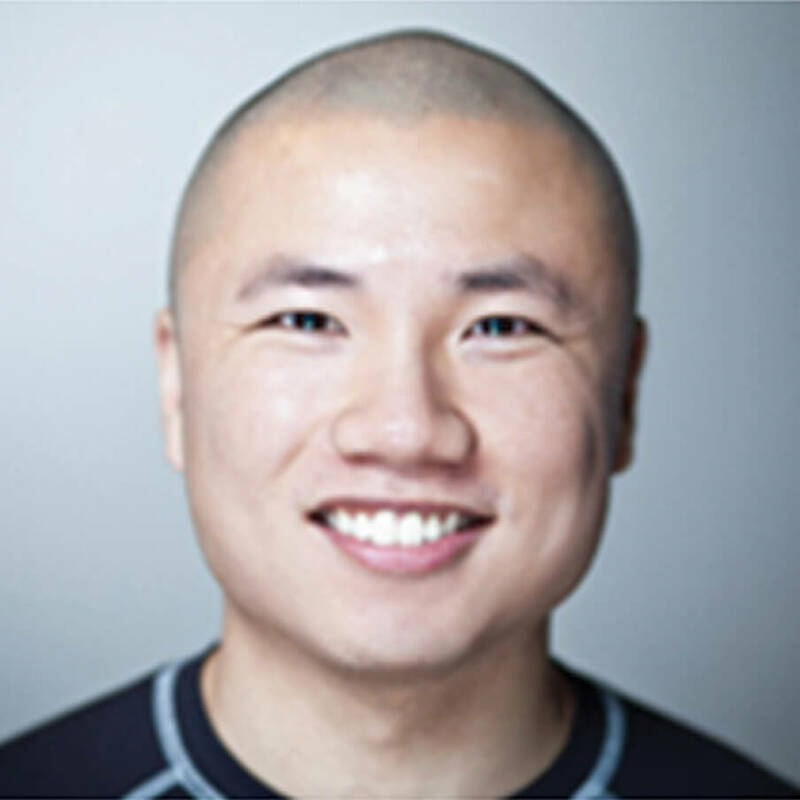 Nelson is a Certified Personal Trainer with a Human Kinetics Diploma from Langara College and holds additional certifications from Functional Movement Systems, Basketball BC, and Gymnastics BC. Nelson completed his Duquette Strength Personal Training Apprenticeship Program under Roy Duquette in 2008 and has been an integral part of Spartacus Gym’s personal training and group fitness team since 2012. As one of the most popular personal trainers and group fitness instructors at Spartacus, Nelson teaches Postural Reprogramming, Total Body Stability, Athletic Boot Camp and Functional Core to a diverse client base of all ages and backgrounds — athletes from beginner to advanced, as young as 12 and all the way up to 70 years old. Nelson’s impeccable attention to detail and emotionally-connected, empathetic style of coaching gives him the ability to challenge his clients to pursue their highest potential, while always emphasizing optimal safety and exercise form. Nelson is friendly, easy-going, personable and has a genuine passion for helping his clients succeed. Nelson is Spartacus Gym’s go-to trainer for those who are new and perhaps a little intimidated by the thought of working out in a gym alone. It is rare to find a more balanced combination of practical experience, patience, technical know-how, and a gentle personality in a strength & conditioning specialist. Once you decide which one of our trainers you’d most like to work with, we can schedule a free, 30 to 60-minute consultation so that you can meet and discuss your training goals in person. During this interview, we will get you to fill out a personal training questionnaire and together, we will explore your medical history, lifestyle, and fitness background so that we can come up with the best possible strategy to help you achieve your fitness goals. We will work with you to come up with a customized and practical training schedule that fits in with your lifestyle, budget, and availability. *New for 2019: Train with a friend and save!